Remember that your local programs have Lifebooks available if you would like to use these "scrapbooks" to work with your CASA kid(s) on documenting their life as they've been placed in Foster Care. 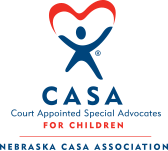 If your program needs more they are available from Nebraska CASA. Or you can print individual pages by clicking below.